I LOVE. LOVE. LOVE Olives and Olive Oil and anything olive related~~Hello Tapinade or Olive Salsa. 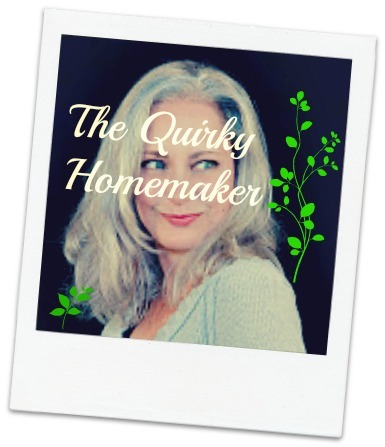 I usually have some kind of olives and olive oil in my kitchen pantry! I've heard that in America it's hard to get a really good olive oil though, because we've been using sub-par stuff for so long that we don't even know what good olive oil should taste like. Apparently we all use rancid olive oil and don't know the difference because it's what we've always used and we think it's just "normal." Recently, I've been given the opportunity to try out a European Olive Oil. I received the product for free from Moms Meet (greenmomsmeet.com), May Media Company, LLC, who received it directly from the manufacturer. 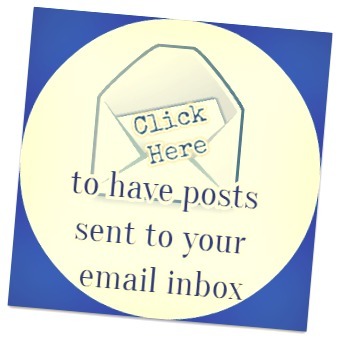 As a Moms Meet blogger, I agree to review this product and post my honest opinion on this blog. All opinions are 100% mine and might not be the same as the manufacturer. 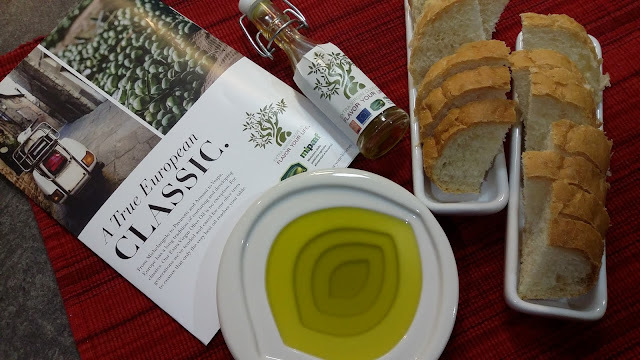 As I said, I love all things olive, so I was excited to try out a European Olive Oil and to learn about the regions that the olives come from AND how to shop for authentic European Olive Oil. 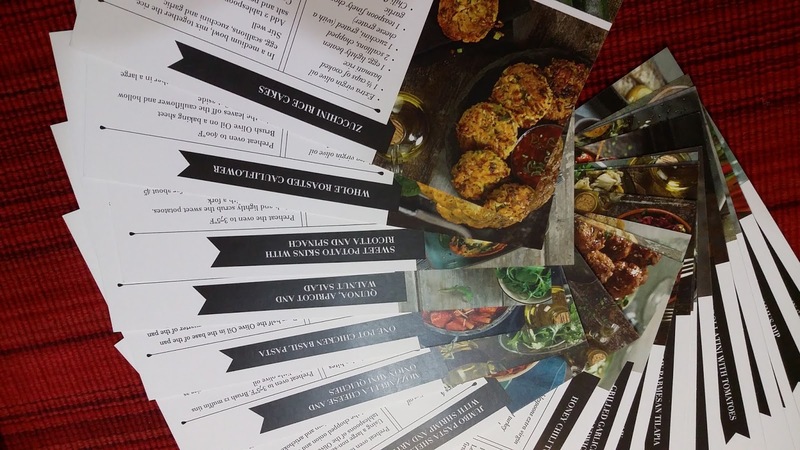 The Flavor Your Life campaign was created to help US consumers become more informed about Olive Oil so that they can make better (yummier!) decisions when purchasing Extra Virgin Olive Oil (EVOO). The Flavor Your Life Campaign is supported by the European Union, Unaprol, and the Italian Ministry of Agriculture. 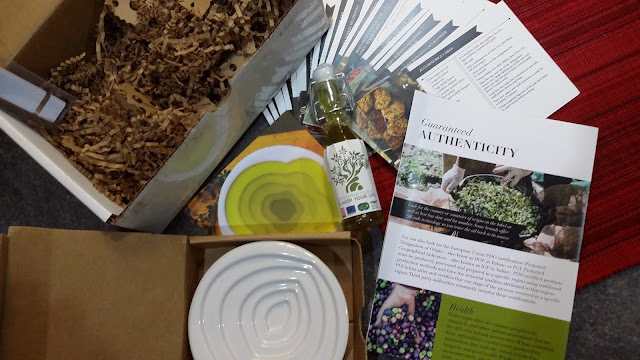 My kit came with a little bottle of European Olive Oil, an olive oil dipping dish, information and recipes. You might know that there is such thing as Extra Virgin Olive Oil, but don't know how it's made or exactly what to look for. How do you find the perfect olive oil for your kitchen adventures? Extra Virgin Olive Oil is made from the first press of the olives (basically juicing an olive), without heat or chemicals. It's called Cold-Pressed. Acidity must be below 0.8% or virtually free of acidity. This has to do with the percentage of oleic acid and doesn't actually have anything to do with pH or taste. Higher levels, though, indicate improper production and rancidity. A panel of expert tasters trained by the International Oil Council (Yes! That's a real position. How do we get this job?!?) taste for defects and the POSITIVE attributes of fruitiness, bitterness and spiciness. The oil must have the signature fruity taste and harmonious balance, or it won't pass as Extra Virgin. Now that you know the science behind an Olive Oil being able to be called "Extra Virgin", how should you use it? Different oils can be used for different occasions. Lighter oils are better used in salad dressings or used as a condiment over light fish dishes, eggs, vegetables or potatoes. Robust oils are better with hearty foods that can stand up to the intense flavor, like steak or spicy soup. My mouth is watering just talking about it. It would be good to keep both mild and robust varieties in your kitchen. The high smoking point of 400 degrees makes Extra Virgin Olive Oil a good oil to cook with. 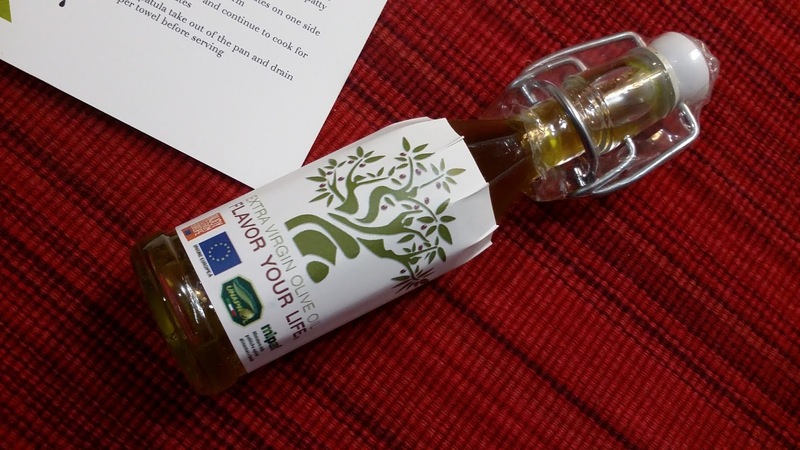 How can you guarantee that the Extra Virgin Olive Oil that you are purchasing is from Europe? Look for the country or countries of origin on the label. Also look for the "best by" date and lot number. Some brands offer a QR code technology so that you can trace the oil back to it's source. How cool is that??? Look for the European Union PDO certification (Protected Designation of Origin ~~ also known as DOP in Italian) or PGI (Protected Geographical Indication~~known as IGP in Italian). Olive trees have grown for thousands of years in Europe. Over that time farmers have evolved hundreds of varieties of olive trees (cultivars) and optimized them for different environmental conditions and terrains to produce the most delicious yields. The Olive Oils from each region have their own distinct taste. Spanish olive oil is typically golden yellow with a fruity, nutty flavor. French olive oil is typically pale in color and has a mild flavor. Italian olive oil is often dark green and has an herbal aroma and a grassy flavor. Greek olive oil has a strong flavor and aroma and tends to be green. There is also a difference in taste depending on when olives are harvested. Olives harvested early in the season (August) are under-ripe and produce oils that are greener, more bitter and pungent. Olives harvested at the end of the season (late November into December), are over-ripe and tend to taste mild and buttery. When I tried the oil, I had to stop myself from consuming the small bottle in one sitting. I poured it into my tasting dish and dipped some crusty bread into it. I wouldn't say that I got that "fruity" taste from it. I thought it was a little more strong and I want to say "briny", but that's probably not the right description. I LOVED it and I'm sad my bottle is empty now. I'll definitely have to see if I can find some olive oils with the European Union PDO or PGI label on it to keep in my kitchen. and on Twitter! https://twitter.com/Flavor_YourLife They have a lot of great info for olive oil lovers! My package came with a lot of recipes to try out. 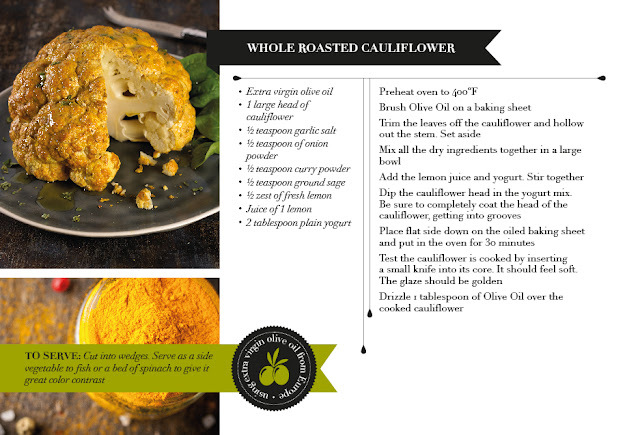 How yummy does this cauliflower recipe look? Do You Enjoy Cooking with and Using Olive Oil? Have you ever tried a European Extra Virgin Olive Oil?